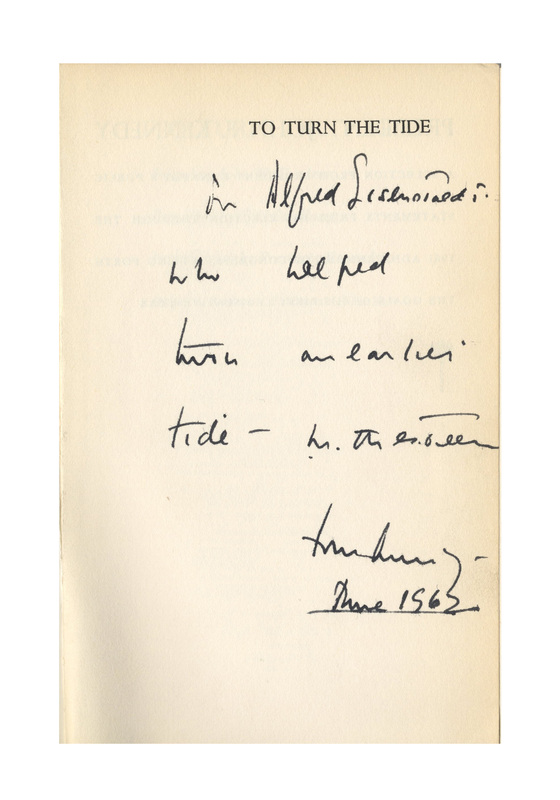 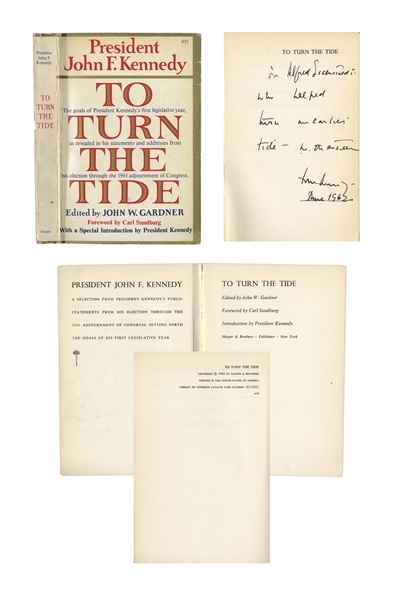 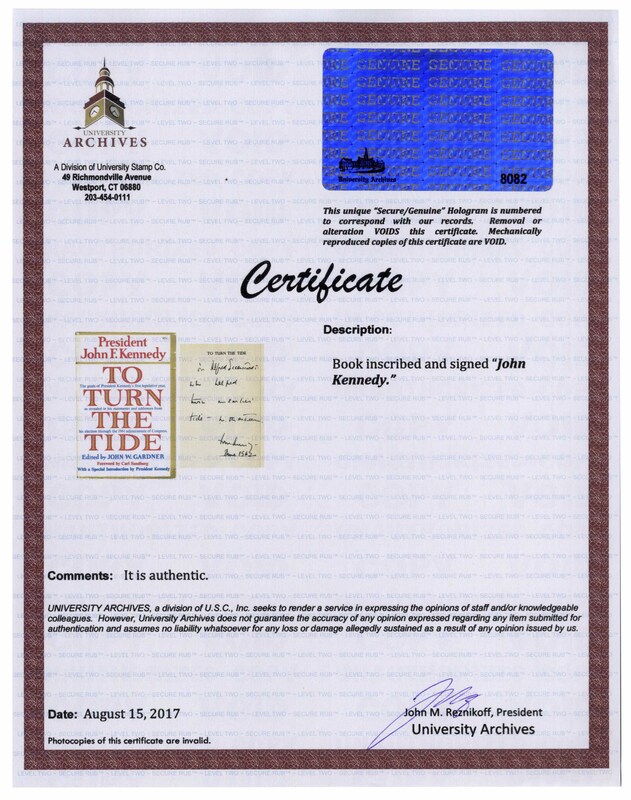 John F. Kennedy signed copy of ''To Turn the Tide'', a collection of the President's speeches from his first year in office, with an introduction by Kennedy. 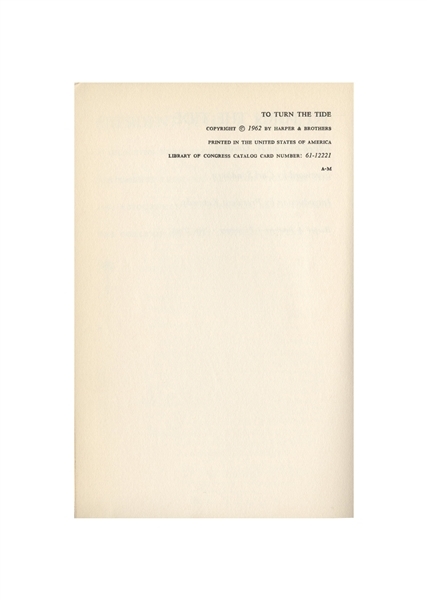 New York: Harper & Bros., 1962. 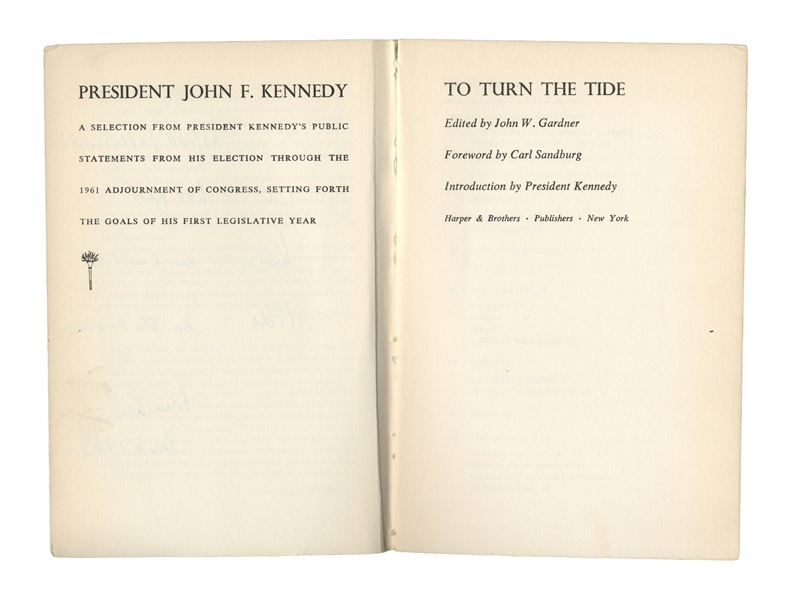 Kennedy inscribes the half-title page to famed 20th century photographer Alfred Eisenstaedt, who photographed Kennedy on many occasions including during the 1960 campaign, to which JFK might be referring here: ''To Alfred Eisenstaedt / who helped turn an earlier tide - with esteem / John Kennedy / June 1962''. 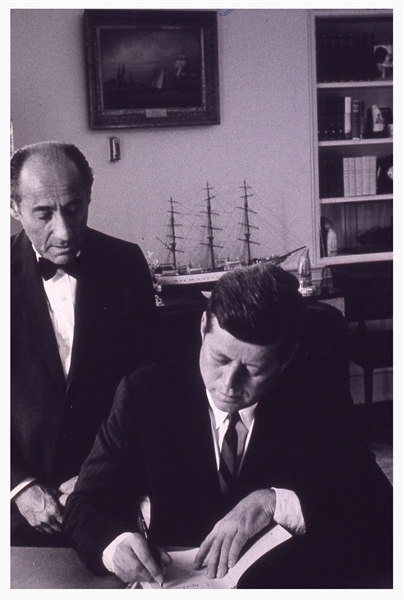 Book is accompanied by a slide of the President signing the book, with Eisenstaedt looking on. 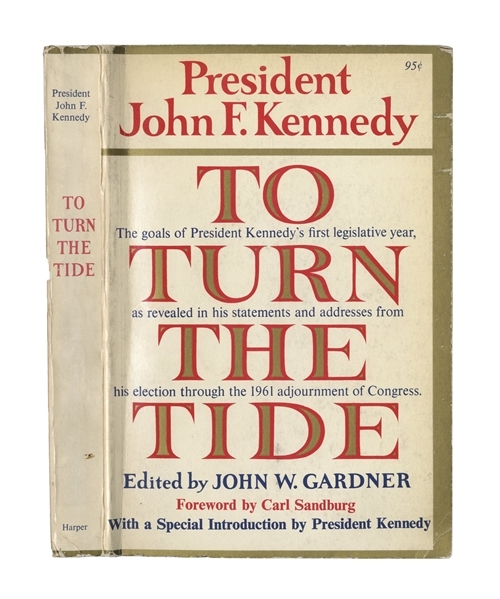 Attractive paperback book measures 5.5'' x 8.25''. Light shelf wear to cover, overall in very good plus condition. From Alfred Eisenstaedt's estate and with University Archives COA.